Artist’s Note: Rhythm Rebel Music is a mixtape that has been almost 10 years in the making. It is a collection of singles, both released and unreleased, that have not previously appeared on another album. Over the course of the last decade, my time has primarily been devoted to my craft as an organizer, however, I have remained dedicated to cultivating my voice as an emcee. Hip hop is a powerful vehicle for channeling musical expression and my unwavering passion for it has been consistently central to who I am as an artist. I have found that hip hop is not just a trend or a faze to pass through on the path of creative discovery, but rather, hip hop is a lifestyle through which an artist can take part in a vibrant and inclusive community and cultivate a limitless canvas of personal expression. As a result, the songs showcased in this collection cover the entirety of a decade and provide a wide lens through which to observe the development of a lyricist. Some of the early work is raw and unapologetic while some of the later work is refined and nuanced. Such is the nature of a decade’s long journey. The writing and recording of these songs began in reflection in January 2005 with Rebel Dance and concluded in anticipation in March 2013 with Our Future. 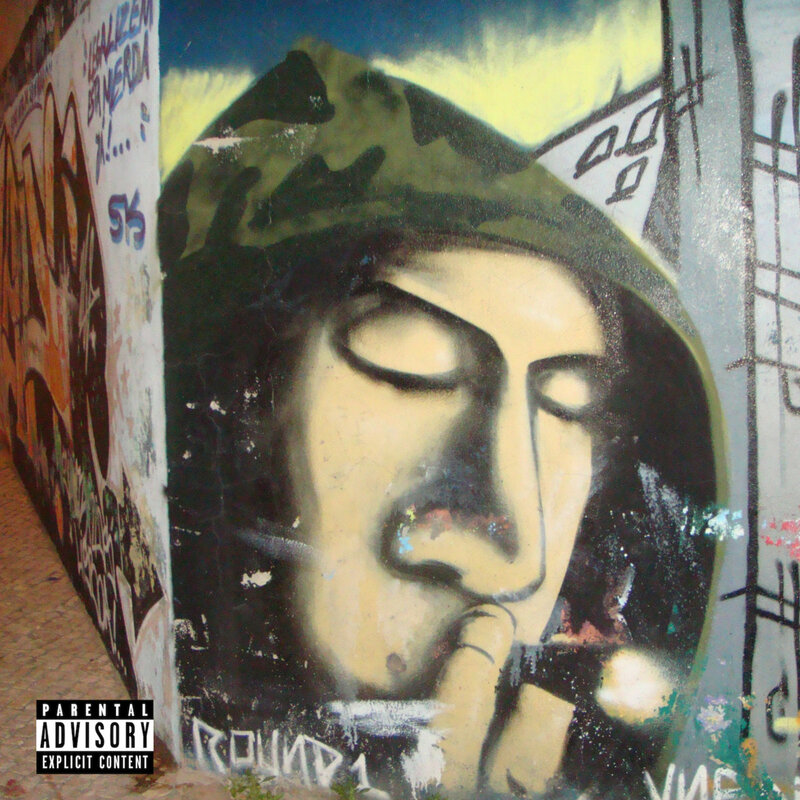 The cover artwork for the project comes from an original photograph that I took of graffiti on the streets of Lisbon, Portugal on my honeymoon in June 2008. The timing of the release of Rhythm Rebel Music is purposeful as this project stands to serve as a precursor to a new studio album, On the Road, which is scheduled for release on November 8th, 2016. So without further ado, I present to you this small glimpse inside my writing and music. It is my passion, the bastion that I last in. I hope that you enjoy listening to it as much as I have enjoyed creating it.